Can you remember the last time you made a large purchase without researching your options first? If your answer is no, consider this: did you compare different financing offers when you bought a home? The internet provides a fast and easy way to compare prices, financing options and product reviews but home buyers may not be exploring all options. In fact, nearly 50 percent of people fail to compare lenders before buying a home. Although it might seem tempting to turn to the “mortgage loan in 10 minutes” online approach, you might want lenders to consider more custom details as they formulate offers. It’s easy to type in your income and expenses to receive a potential lending amount, but this calculation isn’t particularly accurate. 100% online lenders don’t normally account for unique personal needs, and for first time home buyers especially it can be helpful to have a real person guiding you through the mortgage application process so you get the best possible outcome. While one lender or broker might offer to loan you more than another, this doesn’t mean you should go with that lender. Investigate the rates each lender offers for different mortgage terms, whether they let you buy points and what other fees they charge. Some lenders will cover different closing fees like origination, processing and underwriting, others will not. Some lenders take personal considerations into account, such as whether you owe student debt, to help you avoid the potential pitfalls of getting into a mortgage you can’t afford in the long term. Other lenders are more concerned with getting your business than with helping you obtain a mortgage that’s realistic for you. Can you find a reasonably priced lender that has your best interests at heart? Of course — and shopping around is how you will find one. 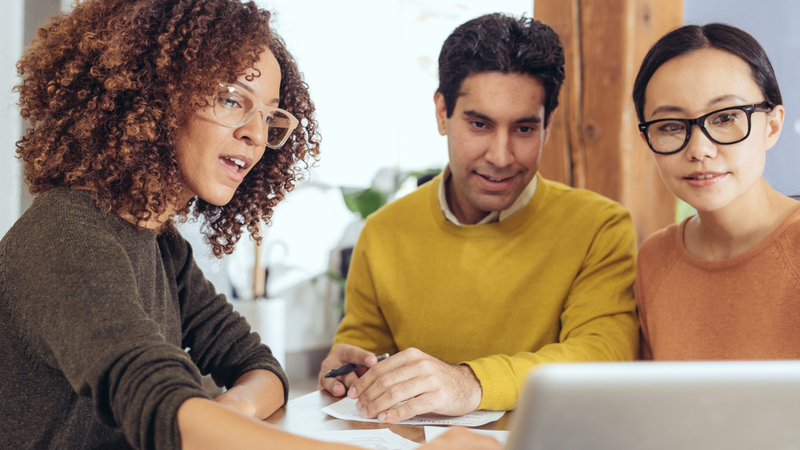 If you consider multiple lenders before applying, and then apply with more than one lender, you’ll have more options and more knowledge of different ways you might move forward. Investments are an important part of any person’s financial future. Just like you would consult reviews and financing options for a big screen TV you want to buy, use all the resources at your disposal before considering a mortgage lender. Research conducted sooner rather than later provides you with more guidance and a more customized loan to meet your needs — it’s that simple. Regardless of the lender you select, it’s smart to get an official pre-approval letter. Pre-approval should not be confused with pre-qualification. Pre-qualification simply involves a lender giving a rough estimate of how much they would loan you based on your income, assets and liability. They haven’t checked or verified anything. Verification happens during the preapproval process, signaling the legitimacy of the offer to the seller. When sellers have multiple offers on the table, they’re more likely to accept an offer from a preapproved buyer because of the extra assurance that the buyer is willing and able to complete the purchase. If you’re in the process of buying a home, make sure to reach out to the Loan Officers at Lafayette Federal Credit Union and review the programs they have to offer. Lafayette Federal Credit Union offers fixed rate loans, FHA loans, VA Loans and First Time Home Buyer Loans, plus the personalized touch that so many online lenders leave out of the equation. To learn more, visit https://lfcu.mortgagewebcenter.com. Lafayette Federal Credit Union is Proud to Be an Equal Housing Lender.